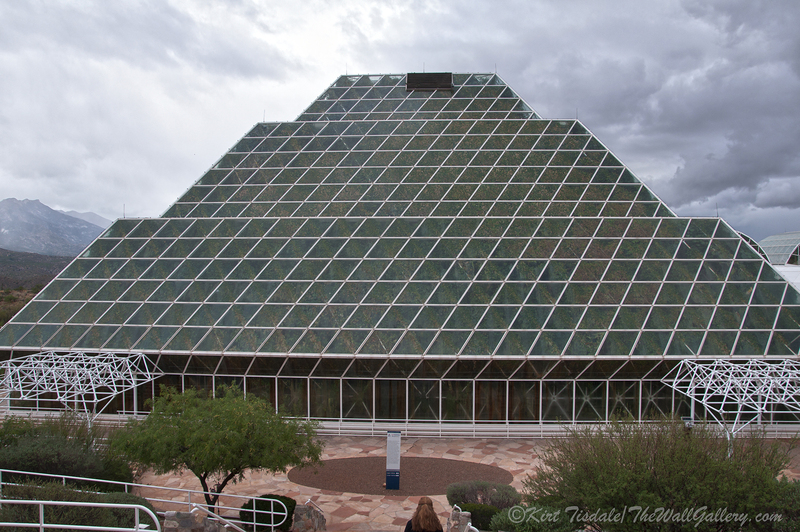 As I mentioned a couple of weeks ago in my blog about Tombstone, Arizona, we also visited Biosphere 2 during that same weekend. 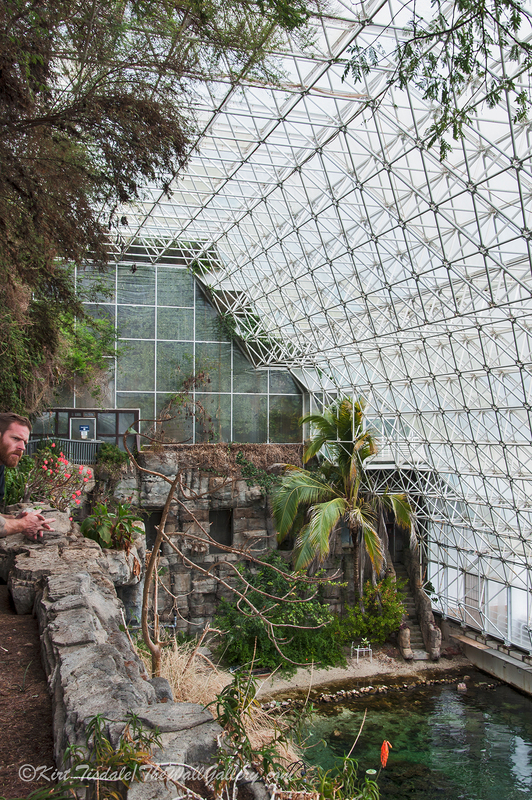 Biosphere 2 is located in Oracle, Arizona, northeast of Tucson. I can remember reading about it in the early 90’s when the self-contained environmental system had the first group of humans (8) close themselves into the facility for two years (1901 – 1993). A second experiment of locking humans into the facility lasted from March to September of 1994. The original concept was to see the viability of an enclosed eco system for colonization in space. 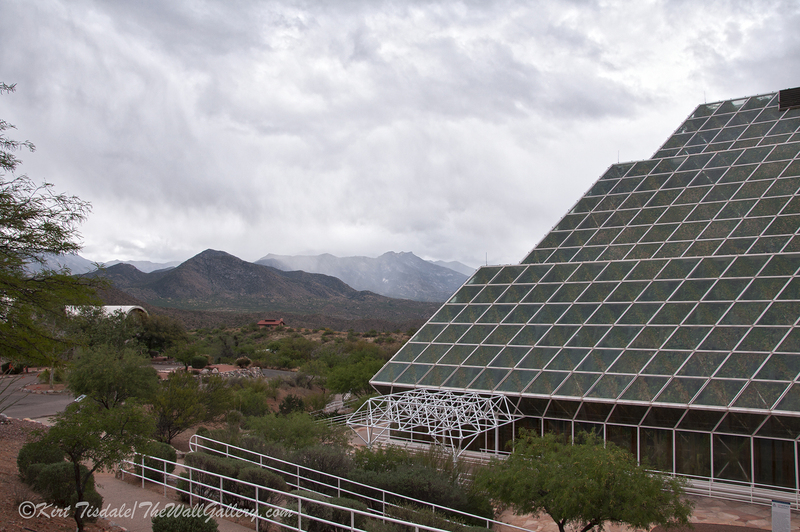 It is now fully owned by the University of Arizona where it is used for research, outreach, teaching and life long learning about Earth, its living systems, etc…Earth being Biosphere 1. 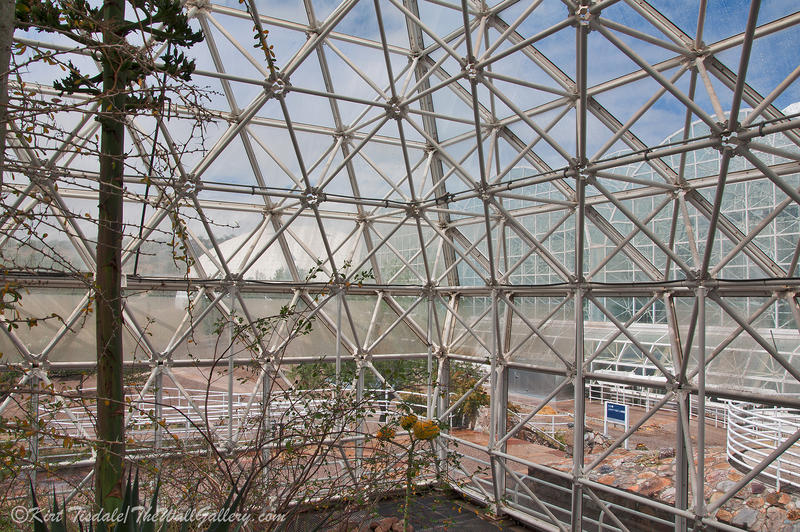 That’s the quick run through, for more information: Biosphere 2 (Wikipedia). 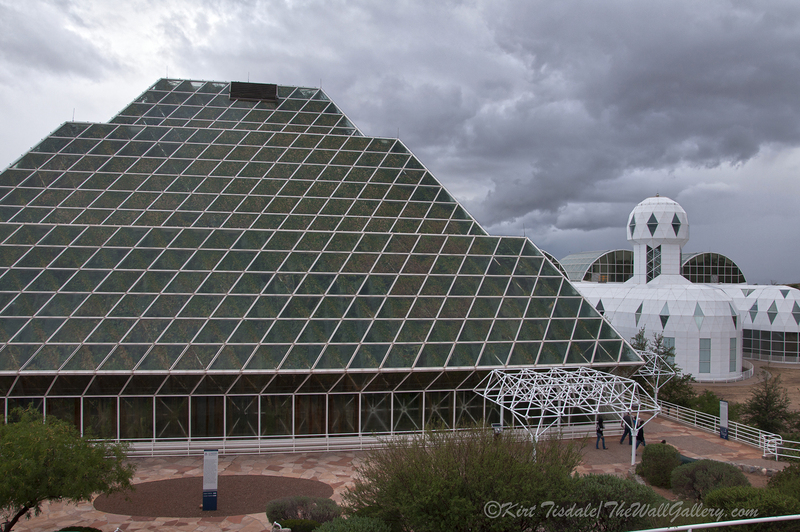 I have attached 10 shots from the afternoon to give you an overall perspective of the complex (it is so worth a visit if any of your travels take you to Arizona). The first picture is the view coming in from what I would call the campus (the campus is the entry point to the complex with a museum, restaurant and student housing). 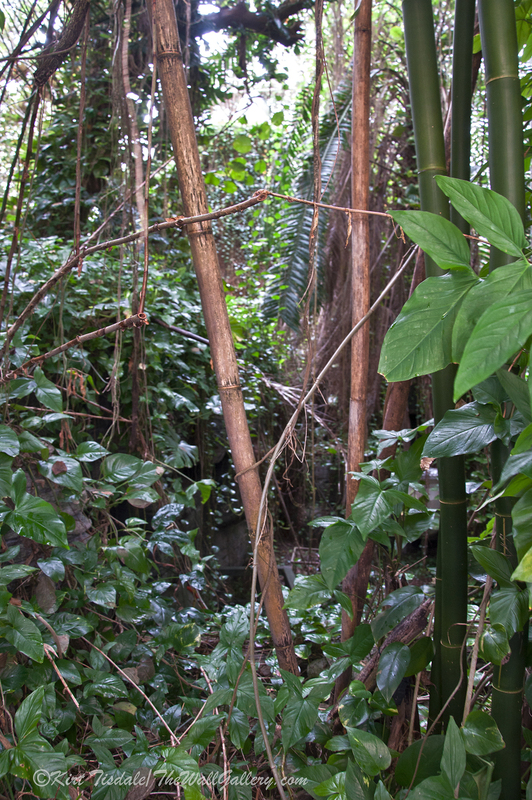 Notice the green of the glass…that’s all of the leaves from the plants in the “rain forest” ecosystem. I left my lovely wife’s head in the shot to give you a perspective of just how massive this structure really is and this is only part of many ecosystems and structures on the grounds. The next capture is taken from the same perspective as the first, but just turning slightly left gives you a perspective of the topography of this part of the desert. Picture number three is still from the same spot, but turning slightly to my right, which is the complex we were headed to for our tour. The 4th shot, still from the same spot on the stairs, zooms in on the part of the complex we were headed to. I included it, because it shows one of the “lungs” of the eco systems. 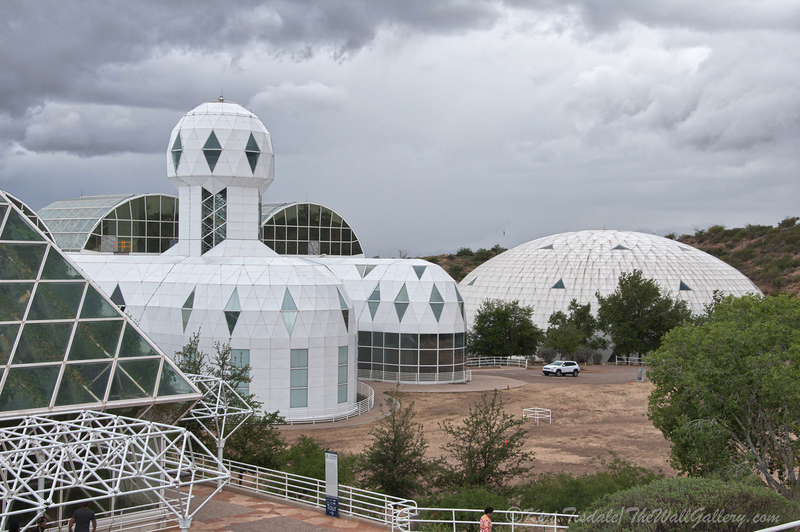 The white dome building is one of the lungs that support the equalization of air pressure within the enclosed environments. As temperatures change throughout the day, air pressure changes with the varying temperature….the lungs take in air from the enclosed environment and release air to them to keep the glass buildings from exploding with such changes. Located under the white dome is a flexible structure that covers a large pool of water…the ceiling of that structure rises and falls with the exchange. Touring the lung, takes you through a wind tunnel that is incredible powerful…this was a hold on to anything loose part of the tour. The 5th picture shows the location where we started our tour. You get a better feel for the size of this structure when you see that door at the bottom left. 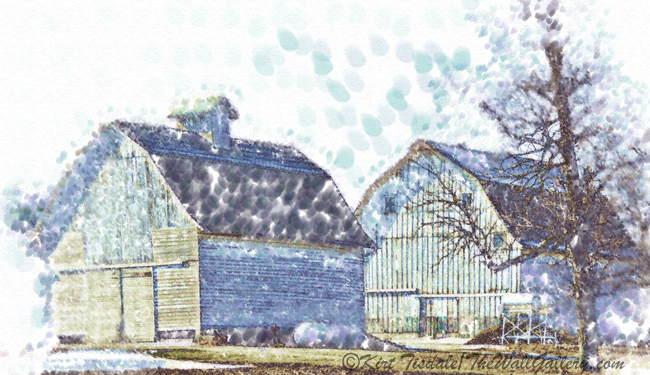 The inhabitants that were part of the initial experiment had their living quarters in this structure. The quarters shared a large community kitchen and each had their own studio apartment with views into environments you see behind the white building (the three arched glass structures). …and the 7th shot gives you even more of the concept. You see when you are inside how all of the tall plants press up against the glass roof creating the canopy of the forest. Number 8 is in the coastal ecosystem. It actually supports a live reef and marine life. There is also a wave machine you can see and hear from this perspective to keep the environment true to coastal San Diego where the water and life came from. From this overlook, you can see back to the green glass housing the rain forest. I kept this gentleman’s head in the photo to give you a perspective again of the sheer size of this structure. Picture 9 took us into a different structure where you can see a semi–arid ecosystem supporting grasslands. As you tour this incredible complex, your mind is overwhelmed with the complexity of the engineering and the amount of detailed thought that went into the original design. Thoughts? 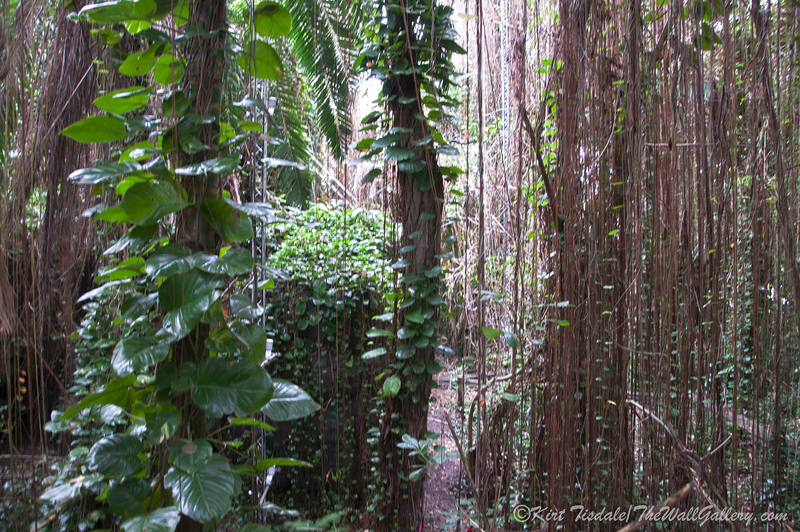 This entry was posted in Color Photography and tagged architecture, arizona, biosphere 2, ecosystems, kirt tisdale, online art gallery, oracle arizona, photographer, rainforest on April 27, 2016 by Kirt D Tisdale. 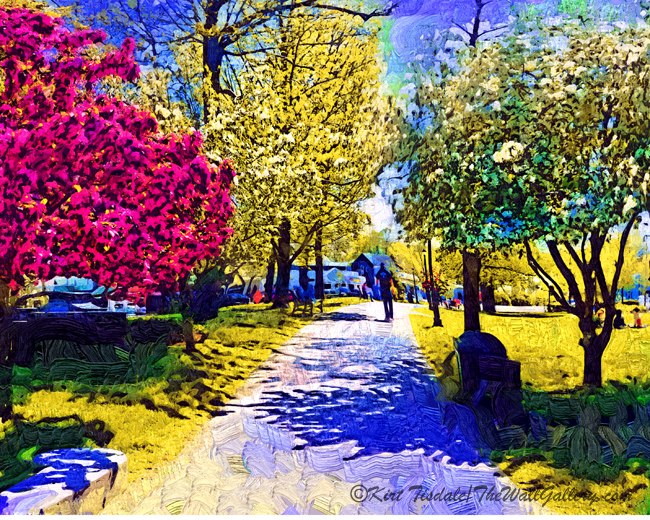 This entry was posted in Abstract Oil, Art, Art Prints, Landscapes: Oil and tagged artist kirt tisdale, interior design, landscapes, new england, online art gallery, park, spring on April 21, 2016 by Kirt D Tisdale. 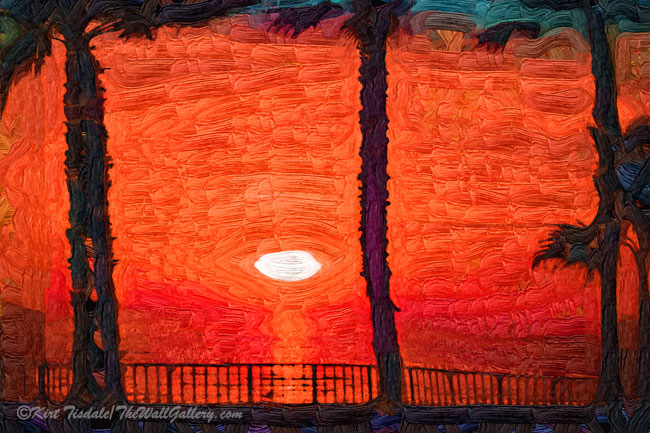 This entry was posted in Abstract Oil, Art Prints, Landscapes: Oil and tagged artist kirt tisdale, interior design, online art gallery, pacific ocean, san diego, sunset, tropical on April 15, 2016 by Kirt D Tisdale. 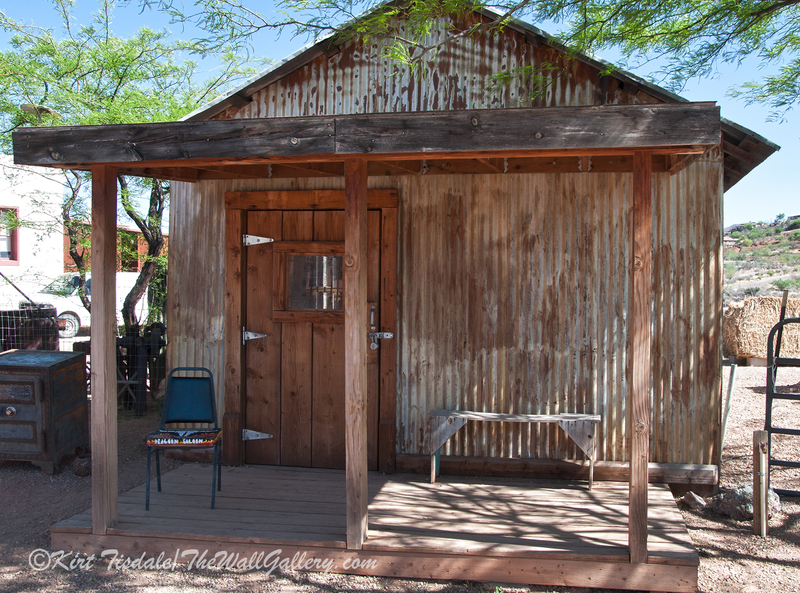 This past weekend, my wife and I did a road trip to Tombstone, Arizona with our oldest daughter and her husband. The four of us have been talking about going down to Tombstone for well over a year, as three out of the four of us had never been there. Tombstone is located in the southeast corner of Arizona and is about a 3.5 hour drive from where we live. 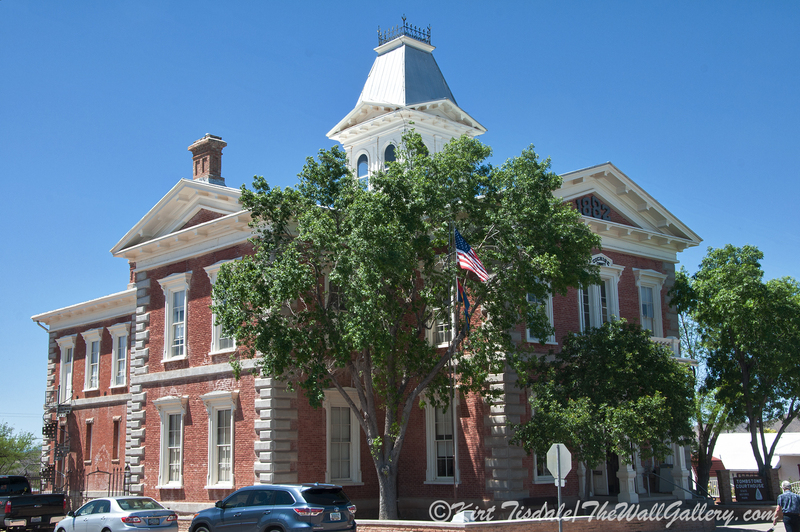 We headed out early Saturday morning and spent well into the evening exploring Tombstone. I have to say even though it is a tourist town, I loved it. I like history and grew up hearing about the infamous shoot-out at the OK Corral and watched tons of westerns on TV and in the movies. There is something untamed about the US Wild West in that era and Tombstone epitomizes it. 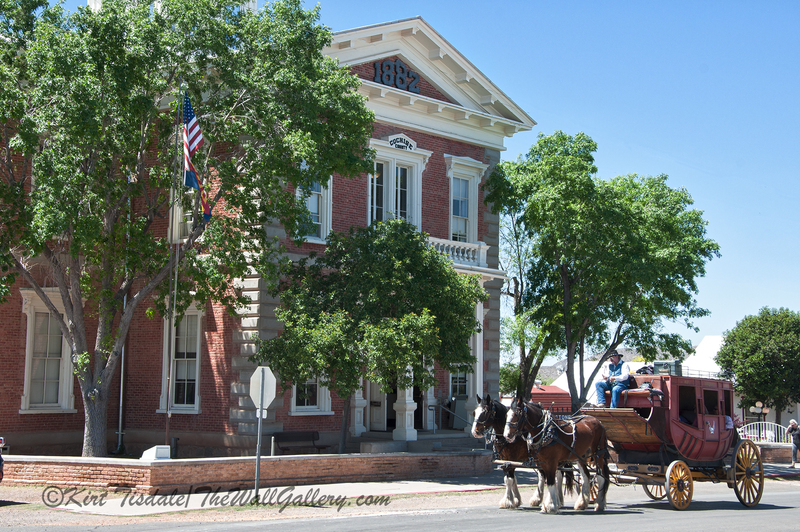 Upon arriving, we found parking near the old Cochise County Courthouse, which was built in 1882. 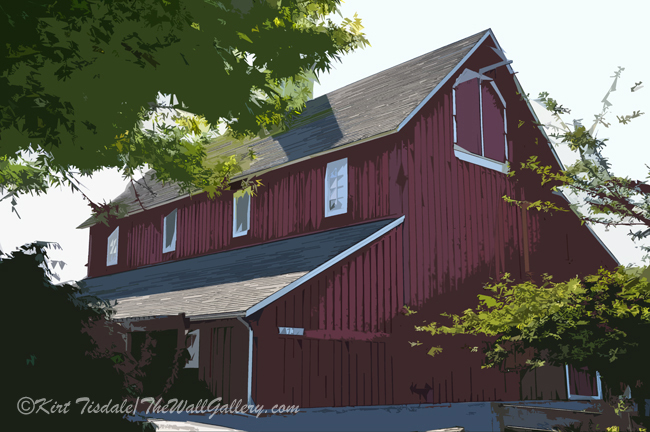 I love the architecture of the structure as it has been refurbished back to its original glory and now serves as a museum. While I was taking the first shot, I couldn’t help but notice the stagecoach coming down the street. As it turns out this was one of the many we would see throughout the day. 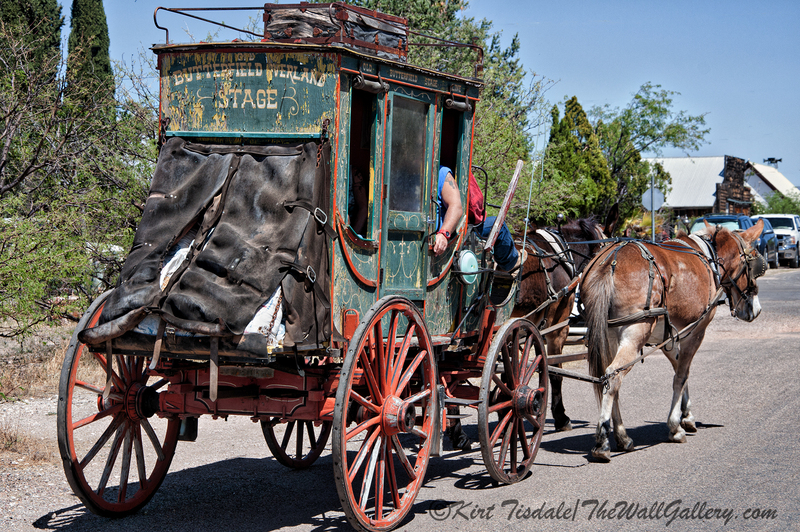 I love the look of a stagecoach and couldn’t stop taking enough pictures. 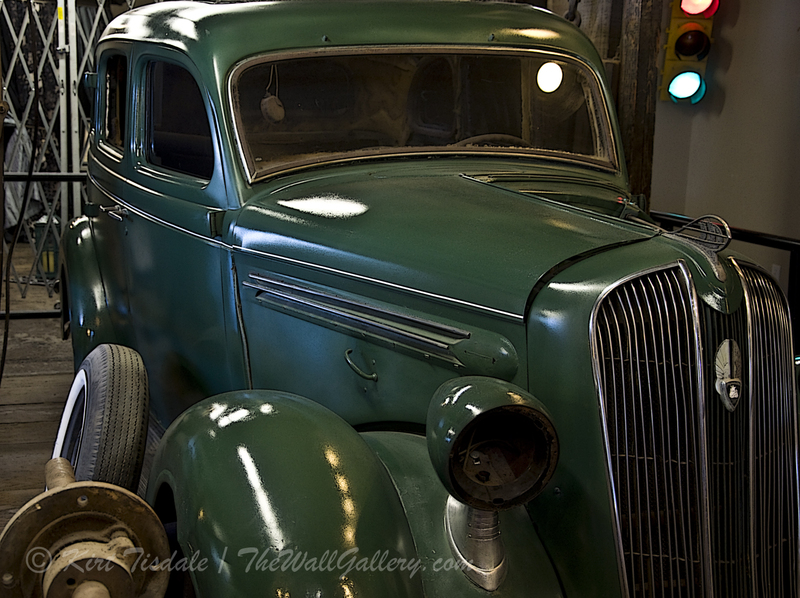 Can you imagine what it would have been like traveling cross-country in one of these? 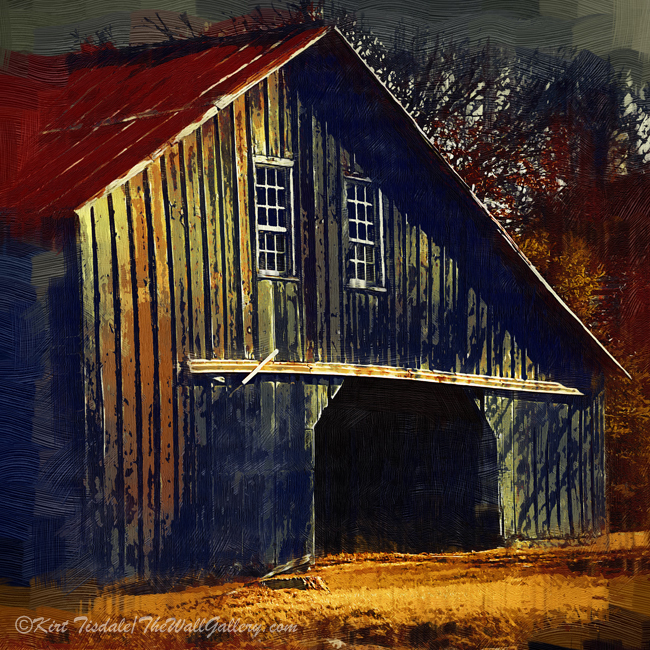 I remember cars before air conditioning and I thought that was tough…..
We wandered down Allen Street where most of the activity is. There are a number of great restaurants and bars up and down the street. This shot depicts the characters that re-enact the shoot-out at the OK Corral in the middle of the street drumming up business for the next show. It worked for us and off to the OK Corral we went. The show was good and the actors interacted with the audience while really giving us a true history lesson and not just the Hollywood version. 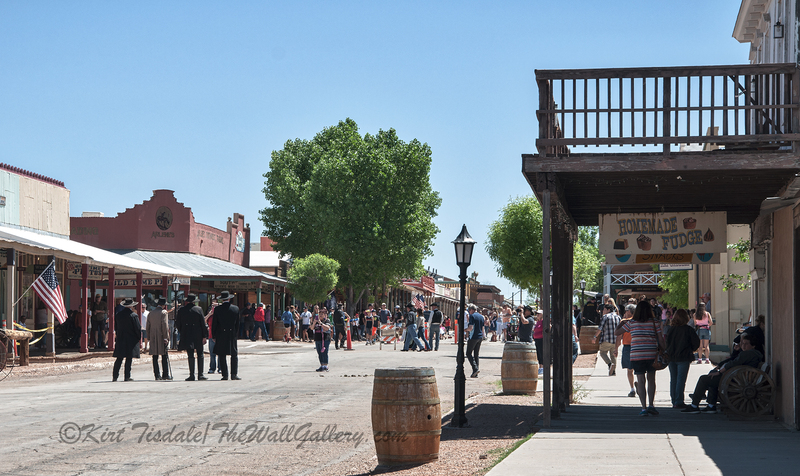 After the shoot-out, we wandered around the corral, which housed a number of historic recreations and exhibits. 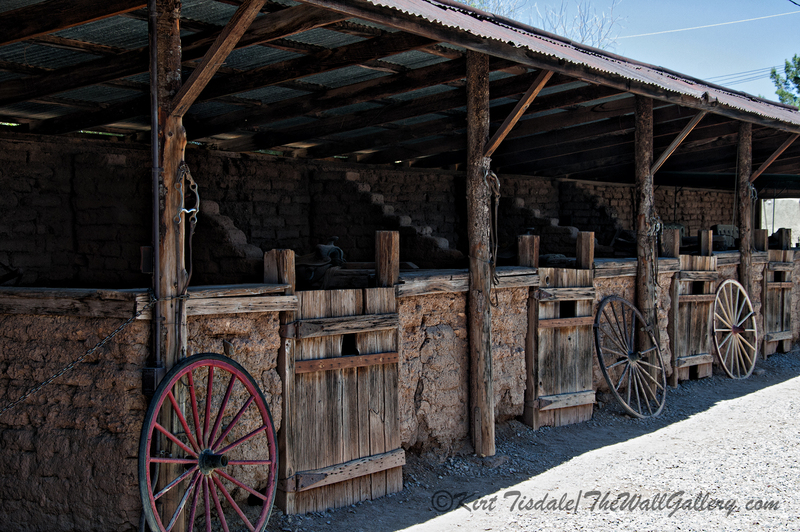 The row of adobe stalls lining one side of the facility (remember, it was a corral originally with numerous animals) caught my attention. 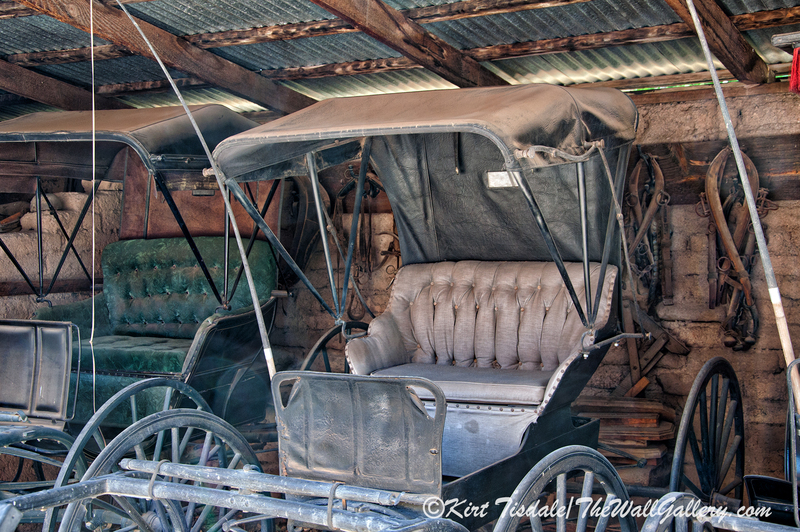 Each stall houses historic items such as these old carriages. Back to Allen Street where we came across “Old Miners” drumming up business for the next “Tough Nut” mine tour. The Tough Nut mine is the original mine in the area where a large silver vein was discovered. Soon there were numerous mining claims close by, leading to the need for a town. In the vicinity of the mine tour, I couldn’t resist taking a shot of one of the many “brothels” that were popular at the peak of activity. 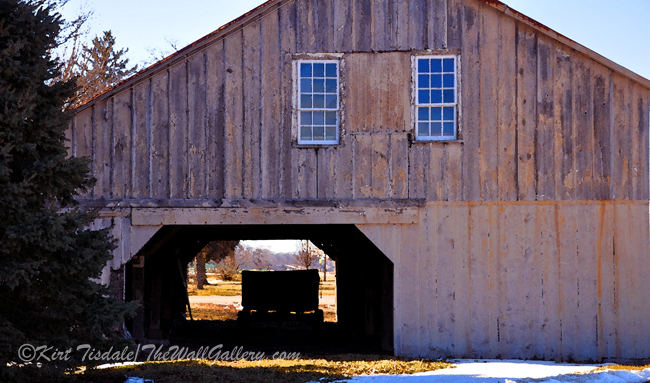 Most of them were either tents or these wooden shacks, just large enough for a bed and little else. 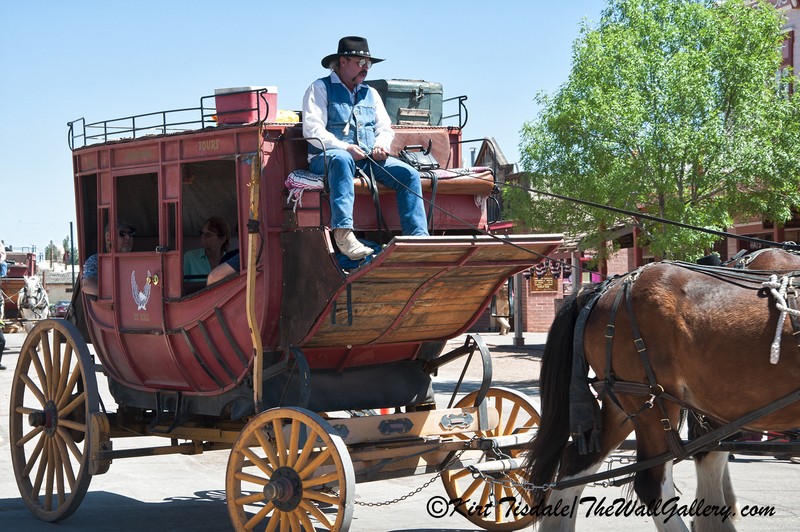 The town is considered the best-preserved “Old West” town and the locals embrace the major industry, which is now tourism. Everyone is very friendly and they dress in the attire of that era adding even more to the flavor of the experience. 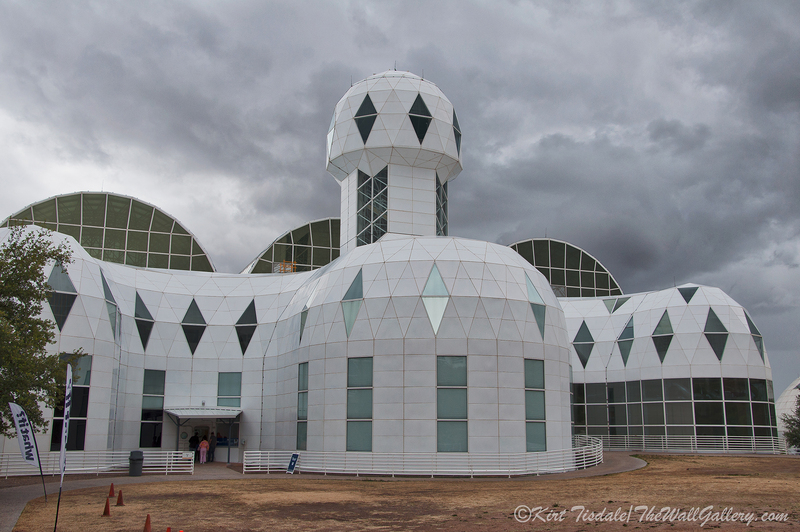 That was a full Saturday for us and we had a full Sunday ahead at The Biosphere 2, but that’s another blog…….stay tuned!! 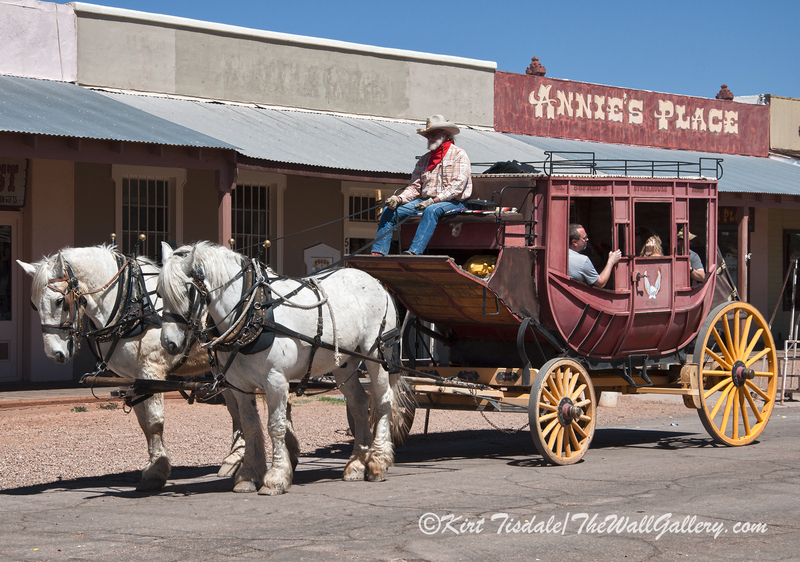 This entry was posted in Photography and tagged arizona, cowboys, History, kirt tisdale, photographer, stagecoaches, tombstone, US Southwest, wild west on April 12, 2016 by Kirt D Tisdale. 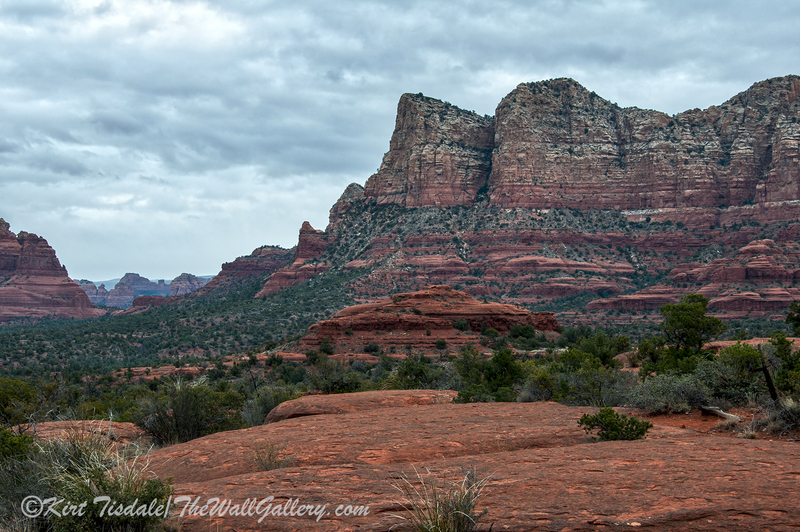 Well over a year ago, I posted a blog of a photo shoot I had done in Sedona, Arizona. 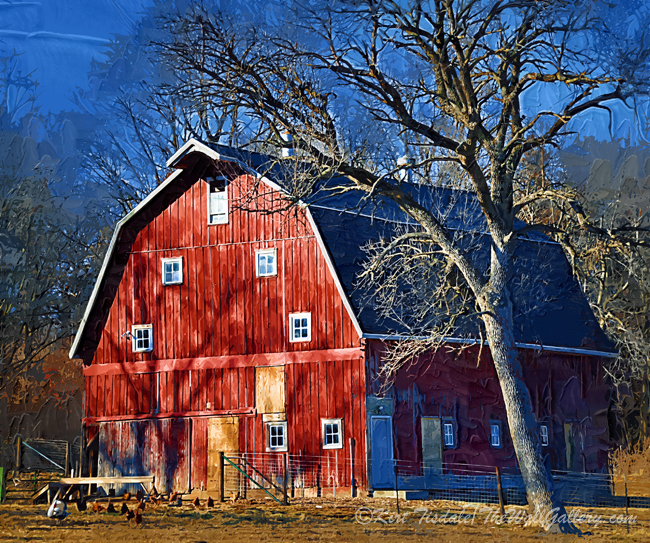 What I liked about that shoot was the beautiful red rock formations against a clear deep blue sky. We were in that area again at the beginning of this year with our youngest daughter and her fiancé. This time, it was cloudy and dreary and had started to rain. We all wanted to get some hiking in before the rains became too intense, so we chose a quick simple trail around Bell Rock. I have attached four of the shots from that shoot as the landscape takes on a different quality with that type of indirect lighting. 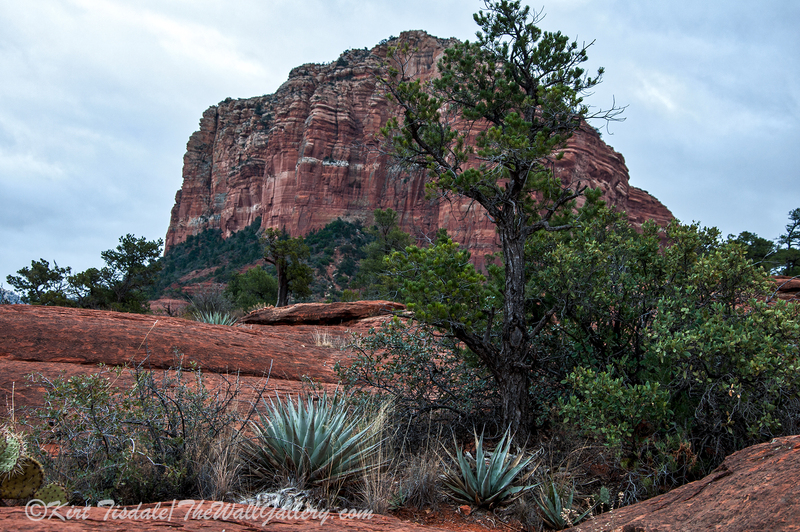 The first shot is with Bell Rock to my back, looking out over the valley towards Sedona. See how the rock formations look in that type of consistent lighting without the dramatic shadows and sunlight. I also like the texture the clouds give the sky as a backdrop. 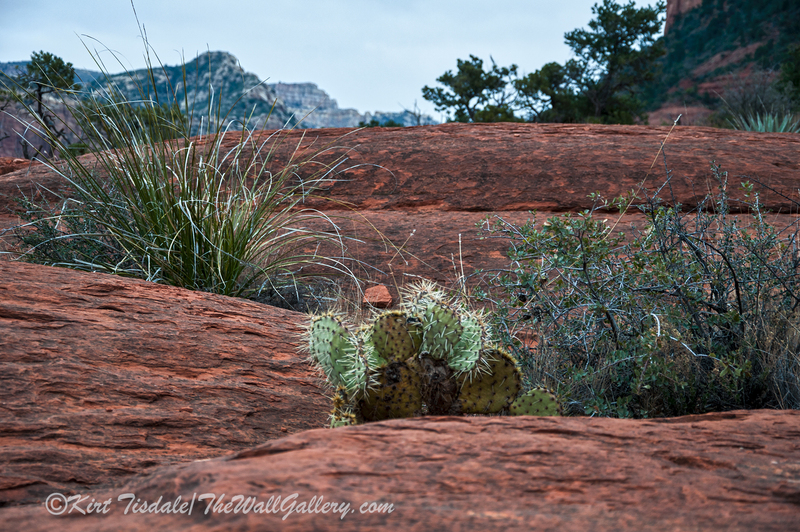 The second capture is on the same trail with the plants in the foreground of the backside of Bell Rock. Again, notice the consistent lighting, which deepens the color of the terrain. 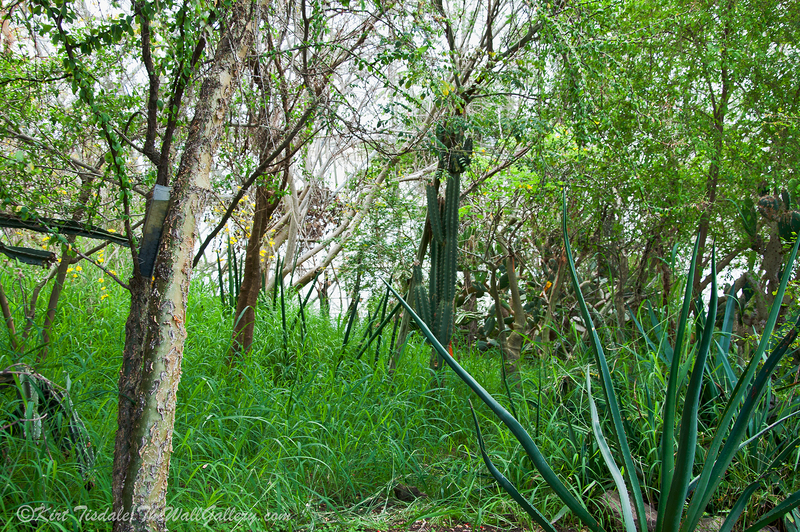 My third photograph is me almost laying down to get to the same level of the cactus. 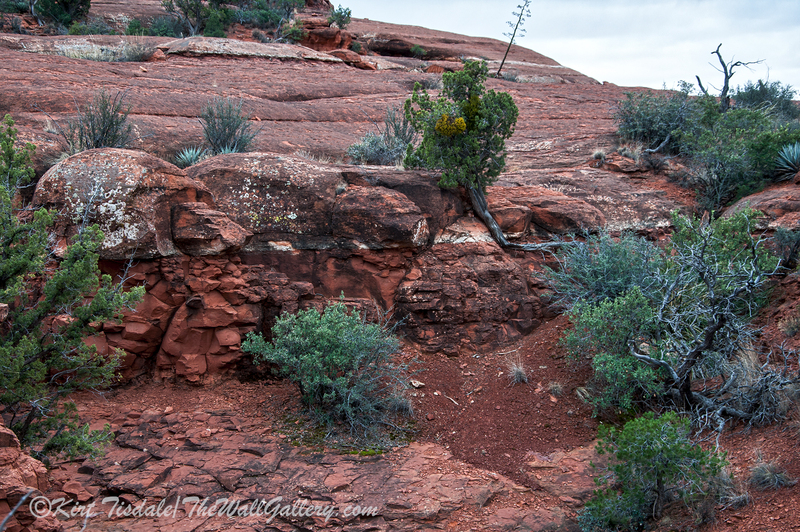 I love the contrast between the plants and the curved red rock. Without sharp sunlight or shadows, notice the veined patterns in the rock. 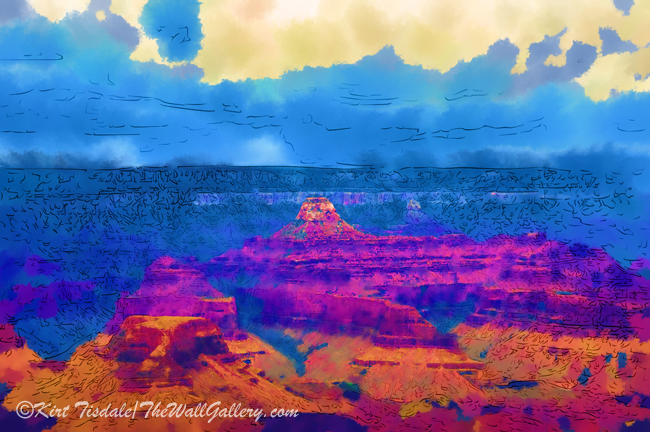 The final one shows more of the rock strata and colors against the green desert plants. 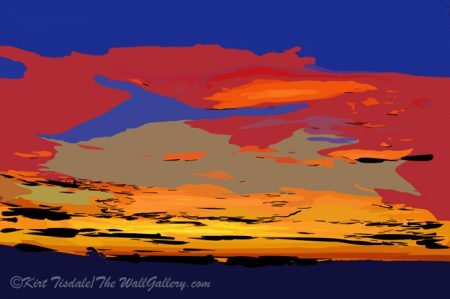 This entry was posted in Art Prints, Color Photography, Photography and tagged desert, interior design, kirt tisdale, online art gallery, photographer, red rock, sedona arizona, US Southwest on April 1, 2016 by Kirt D Tisdale.